Left: Eichorn during his service aboard Pinkney. Right: Eichorn in 1998 or 1999. 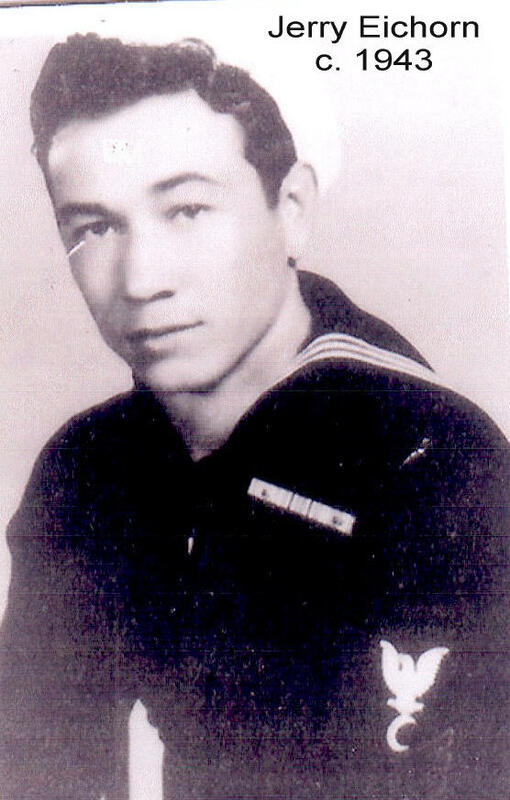 Raymond “Jerry” Eichorn was renowned aboard USS Yorktown for his skill in the ship’s galley as a baker. Some of his fellow Yorktown veterans have reported to us how much Jerry’s pies and other baked goods were appreciated by the crew, who would occasionally take extraordinary measures in order to indulge. After the BOM he was transferred to the USS Pinkney (APH-2) where his reputation as a champion of the galley continued. He left the Navy in 1945 to commence a 36-year career in (of course) a bakery. Jerry joined the Roundtable during its earliest years. 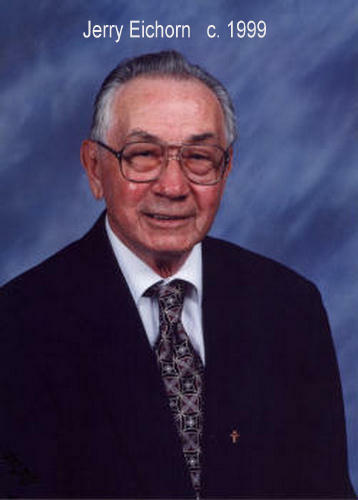 He always treasured his time in the Navy and his lifelong association with fellow Yorktown shipmates.